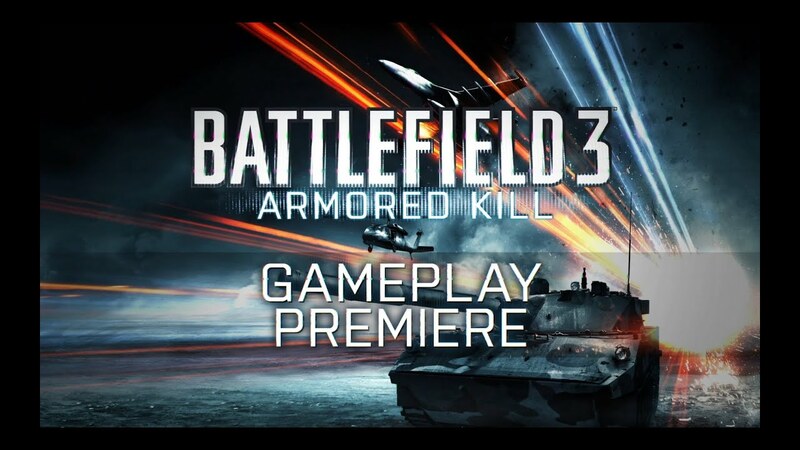 Armored Kill, the 3rd Expansion Pack for Battlefield 3 is bringing large battlefields for an all-out vehicle assault. Armored Kill features several new vehicles such as tanks, mobile artillery, tank destroyers, ATVs and an AC-130 gunship. 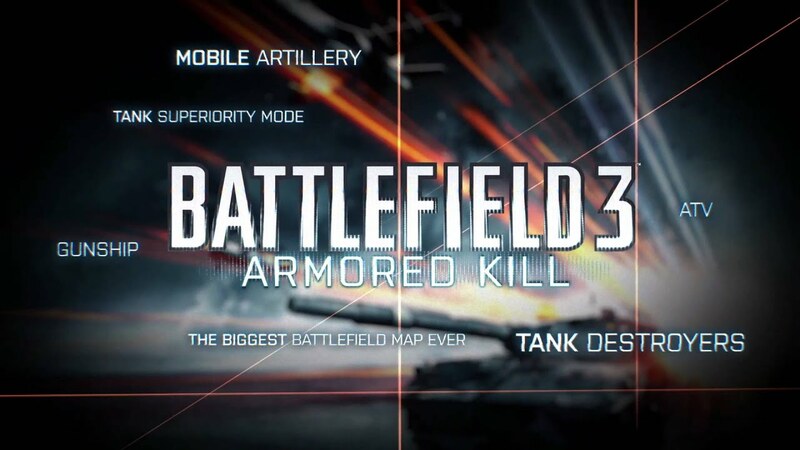 It also includes the biggest map in Battlefield history as well as a new game mode: Tank Superiority. In Tank Superiority the objective is to control a single flag, guaranteeing fierce combat between between main battle tanks, gunships, and tank destroyers. Groups of armor working together will seek to to engage and destroy the enemy as engineers scramble to keep their team alive. Adjacent to Damavand Peak is the snow covered Alborz Mountain. The largest map in Battlefield with a AC-130 gunship circling overhead! Armored shield is a summer time map set in a large field on the outskirts of Sanoy, Russia. Bringing night time combat in a mountain setting. Armored Kill is scheduled for a September 11 release for Premium Members, with the standalone Expansion Pack being released two weeks later. Tactical Gamer will support Armored Kill on day one and you expect to see the new maps in a variety of game modes on our servers shortly after launch. September 11 will also bring Battlefield Premium Edition which will include the base game, a Premium Membership with all Expansion Packs, and a multi-player welcome kit which unlocks several weapons and vehicle upgrades. The bundle priced at $69.99 provides great value for anyone who hasn't yet taken the leap into BF3 and wants to have all the Expansion Packs available to them. Tactical Gamer is the premiere online gaming community for mature gamers of all ages where teamwork is required and there's no tolerance for abusive conduct. For years our Battlefield community has been known for its high quality squad leaders, strategy, tactics, team play, and fun! Teamspeak is used extensively to coordinate movements in game and players are encouraged to join our TeamSpeak server at TS.TacticalGamer.Com:9988 while playing BF3. We use TeamSync squad-VOIP which automatically places BF3 players in the correct TeamSpeak channel. For all the information needed to get started playing BF3 at Tactical Gamer, visit the BF3 forum and say hello! My Platoon is loving it! Our server has been FULL every since I loaded the maps in.